The plate has a laser engraved scale to help identify and record optimal position. 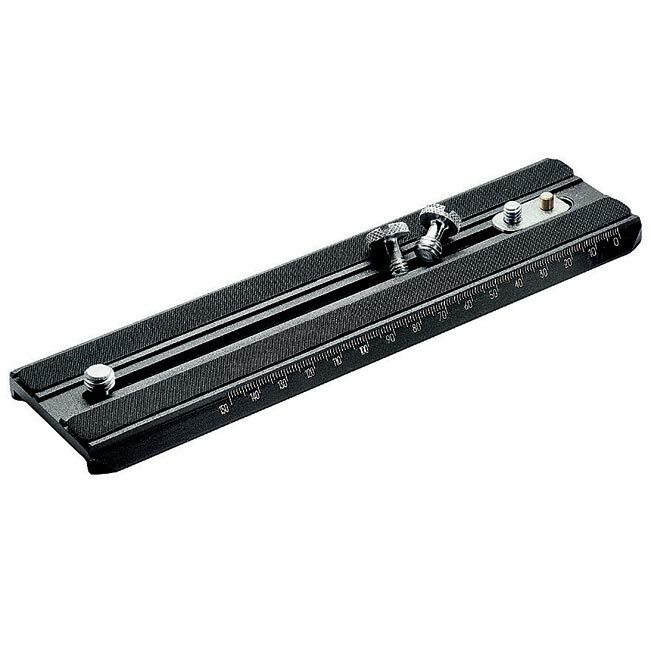 In order to free the maximum range of possible balance positions (140mm), the VHS location pin is able to slide along the length of the plate. Supplied with 2 x 1/4" and 2 x 3/8" camera screws.